Jack Welch is perhaps one of the most recognized and storied names in business today. His rework of GE and basically using the hedgehog principle (from Good to Great, although I'm not aware Jack Welch ever connected it to the book). I love this picture of one of my boys, in his Cub Scout uniform. As an Eagle Scout myself, I am very proud of my young Scout, and know the impact that Cub and Boy Scouts has on a young boy / man. In fact the Boy Scouts works almost exactly to this quote. When a Cub, the boys are taught by adults who are more knowledgeable and experienced. 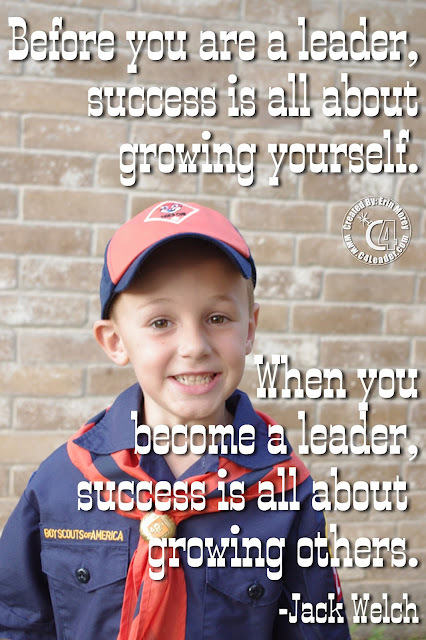 As they move into Boy Scouts, the leadership and education becomes more about the older boys teaching the younger, with adult guidance. In this way, you start by growing yourself, then you learn to grow others. Vital skills, shared by Jack Welch in this quote. Special thanks to my wife, Erin Morey for helping with all these quotes / pics. P.S. Sorry about last week's lack of posts. I'm not sure what happened, but what I had scheduled disappeared. I am traveling for a convention, and will make sure there are posts for Wednesday and Thursday this week. My apologies! Thomas Fuller was (1601-1661) an English Churchman, Historian, and Author, although I could find no reference to him as a sailor. Regardless of his history with vessels of water, his statement is correct, especially today. As Gandhi once said, "I suppose leadership at one time meant muscles, but today it means getting along with people." Strength is no longer the primary or sole factor attributing to leadership. Skill is required in this day and time, because people have options and knowledge. You cannot force a person to follow, and the more you try, the faster your team will run. 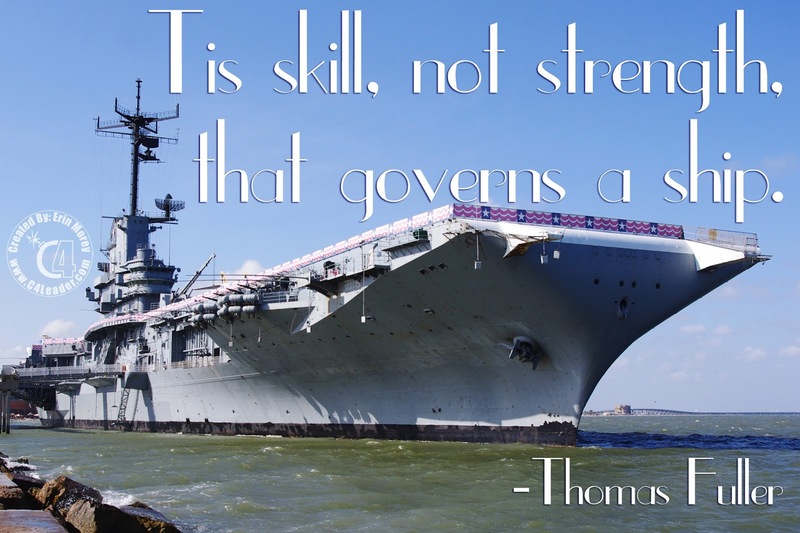 What skills are necessary for a leader? Vision, Planning, Problem Solving, Communication, in point of fact the list is long. However, sometimes the greatest strength isn't of muscle but of will, yet another factor or leadership. Rather than ask what skills are necessary, instead, lets ask what skill is most often missing? What are your thoughts? 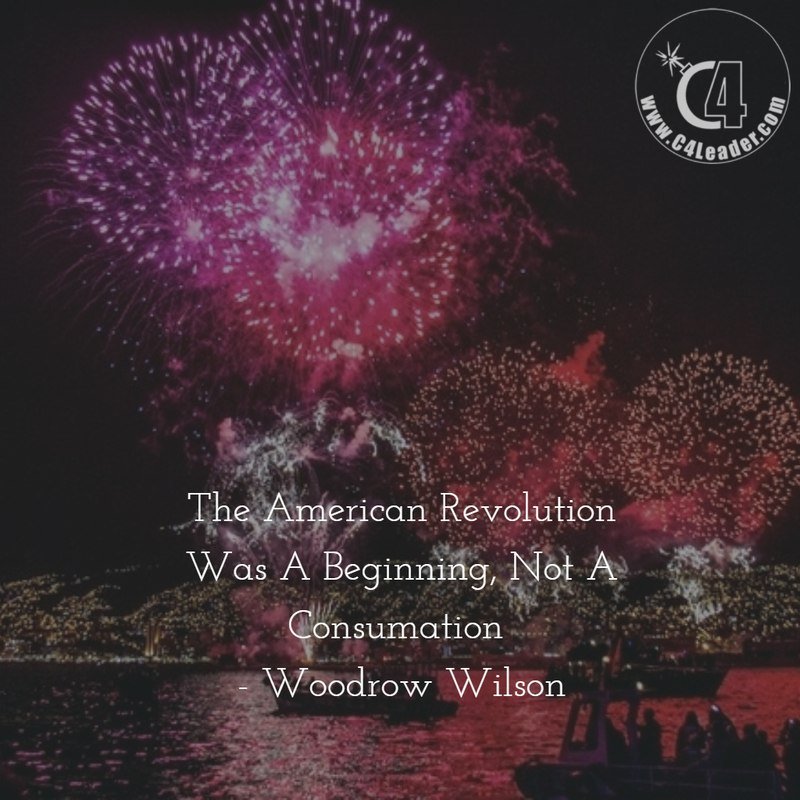 Comment below and let me know, let's start a discussion! This week I was preparing a series of blog posts on Risk Management, related to another Morey's Law, when I received an email from Feedspot.com. Feedspot is a RSS consolidation website, and they recently released the top blogs to follow in a variety of categories, such as Gardening, Skin Care, Sales, HR and (yes) Leadership. 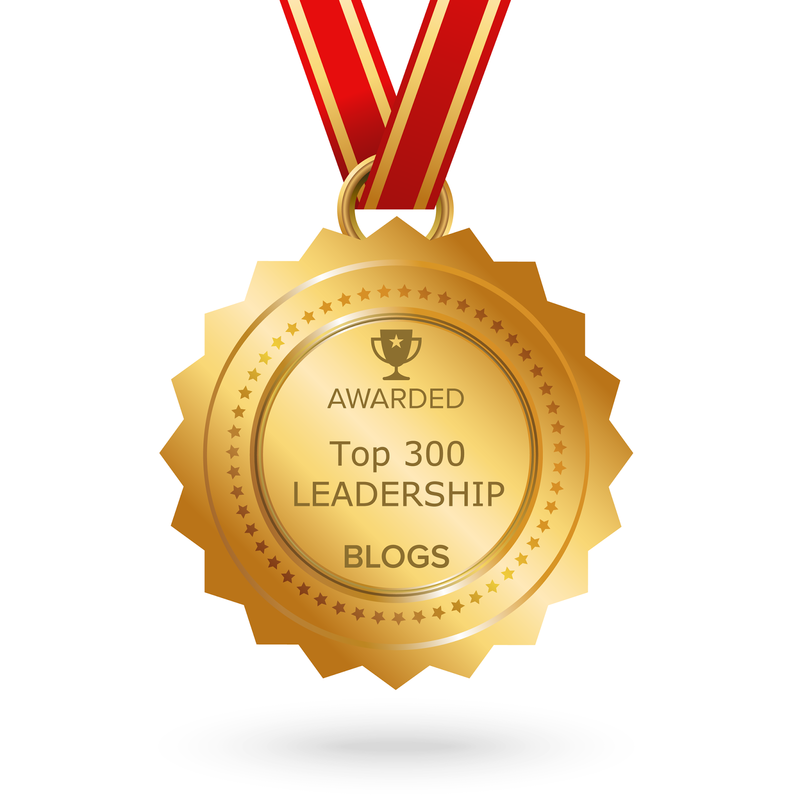 Feedspot.com has acknowledged the C4Leader Blog as one of the top 300 (#221) Leadership Blogs for Executives, Managers, and CEOs! Names you may recognize that favor the list: John Maxwell, Robin Sharma, Mark Sanborn, and many more. I am honored and humbled to be included in this list, and felt it was worth sharing with my followers / readers. If you want to see the entire list it's available here. I'm thrilled with the recognition, and I look forward to continuing to share my knowledge and experiences in leadership for many more years! 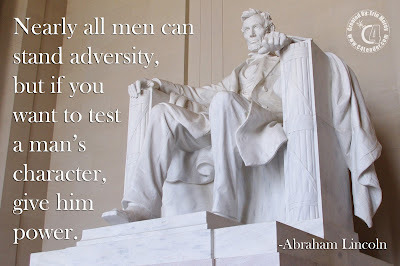 During this time of Presidential Election Cycle, I provide a powerful quote from perhaps our greatest president, who many might argue was the spark that caused a lot of adversity. Think about the candidates today, and how do you think they will respond while holding the "most powerful office on the planet?" I hate to say it, but both sides have people who shudder to think of the other candidate getting office. Is this the leadership this country deserves? It's the leadership that we are voting for, and some would argue what our system has wrought. On a more local scale, when you are in a leadership role, does the team serve you, or do you serve the team? 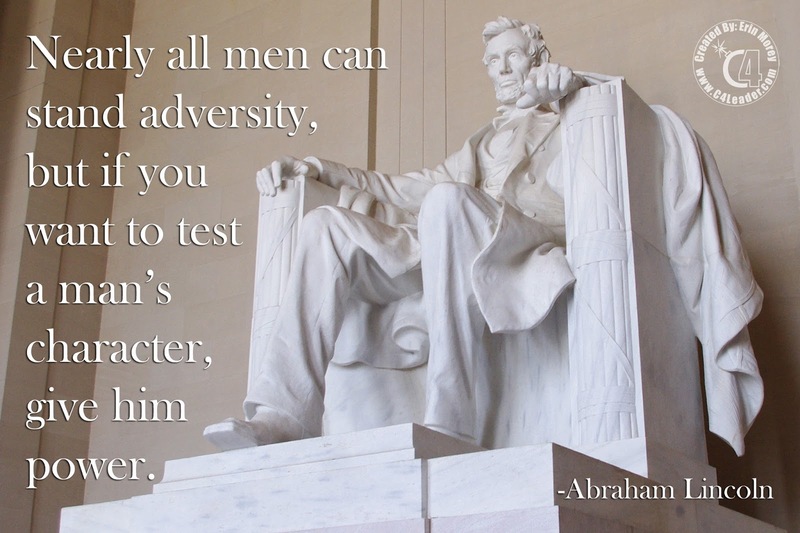 Your answer is the test of character. What caliber of character are you displaying as a leader? Mike Rowe had a show on Discovery called Dirty Jobs, where he would explore the dirtiest, nastiest work that people were paid to do. He did this to shed light on another side of America, and to show that people can (and should) take pride in that work. I've realized that taking the time to do the Dirty Work with your people can also help you earn the respect of the people you are trying to influence as a leader. In one particular experience, I found myself wandering a drilling rig. "...that all men are created equal, that they are endowed by their Creator with certain unalienable Rights, that among these are Life, Liberty, and the pursuit of Happiness." 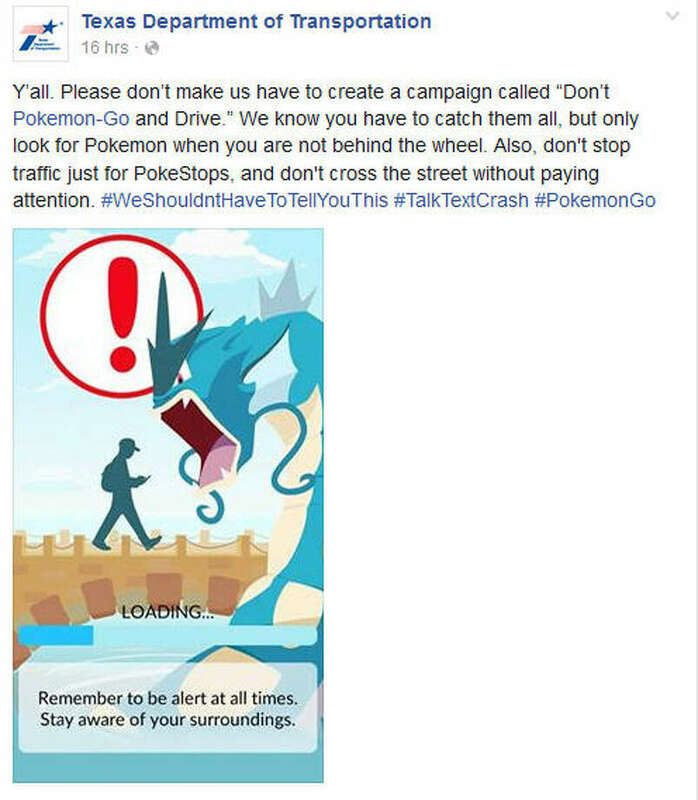 About a month ago, Inc. Magazine published an article about Bad Communication Habits. The article is a worthwhile read, and I wanted to share it with my occasional visitor. 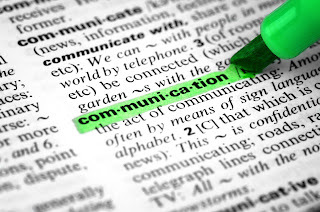 As you may know Communication is one of the 4 Cs of the C4 Leadership Formula, and I have shared several lengthy posts on the importance of Communication (here, here and here). As is typically the case, I encourage you to read the article on your own, as I will not rehash it here. The 8 habits are items we are all guilty of on occasion (if not frequently) and it is good to spread awareness regarding this habits. Sadly, what I will say is that these Communication habits are prevalent, but also very surface level. The information found in this article can be found in dozens of other places online, and the suggestions of the author amount to: "Stop IT!" Instead, I offer a direct suggestion that could help with several (if not all) of these Communication habits: Toastmasters. Toastmasters is a not-for-profit organization with the goal of improving Communication and Leadership skills. It is (typically) a safe place to practice Communication skills (not just Public Speaking) and bring awareness to patterns / habits in your Communication style. There are thousands of clubs worldwide. I would recommend visiting a few clubs before settling on one, as although each club operates by the same format, each club will be different in personality and skill level. Find a place where you are comfortable, and where there are people you can learn from. You don't want to start as the big fish in the little pond! There you will gain awareness of your filler words, floundering, qualifiers, and a multitude of other things. Remember, Communication is a C because it is Critical to Leadership Success. We can always improve!